Sold singly so you can purchase exactly what you need. 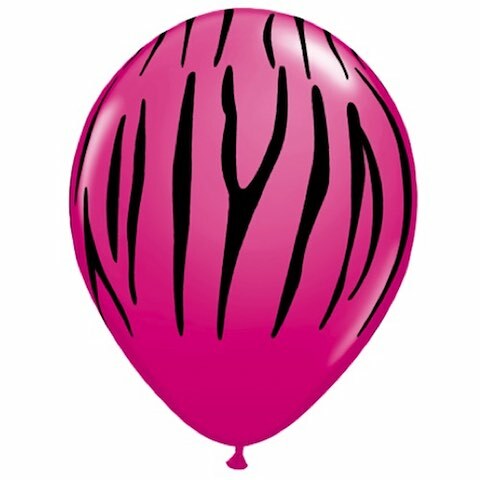 Our Wildberry Zebra Stripe Balloons feature a hot pink balloon printed with black zebra stripes. They are a fun option for a hens night or glamour inspired party theme. We love them for jungle parties when you want to include some pink too! They look great mixed and matched with our other animal print balloons. These professional quality balloons are manufactured from pure natural latex and are fully biodegradable.